An ode to Britney and Justin, denim on denim is making a resurgence in the best way! Paired best with complimenting shades (both items being light or both being dark denim) this works well in a casual setting or even dressed up a little with heels and edgy jewelry. 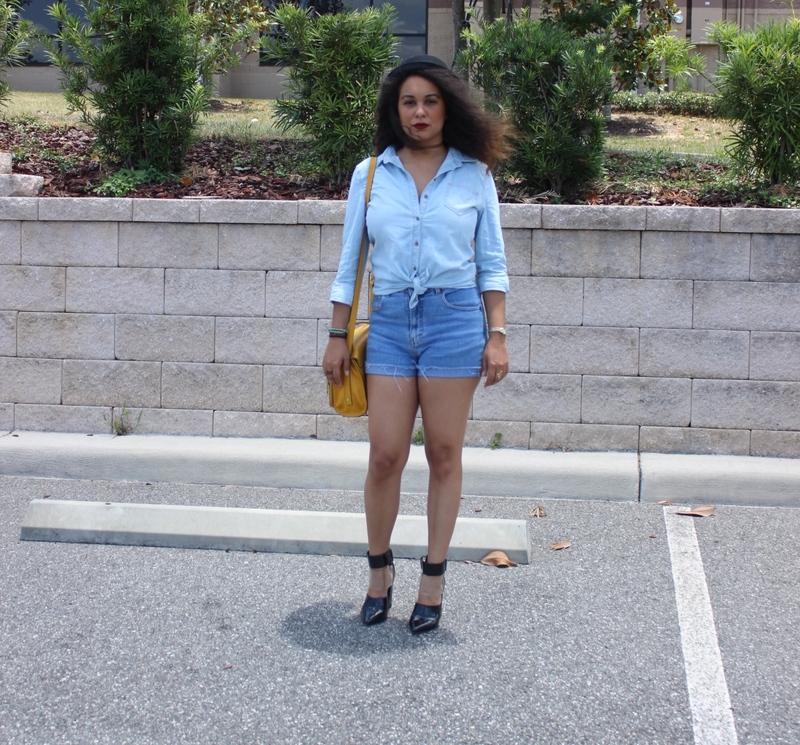 I was inspired by the button up denim shirt I purchased in London on my Primark shopping run. It was particularly tricky to match exactly since I don’t have such light jeans, but I made it work with my thrifted shorts of a slightly different wash. I brushed my curls out and went for a “cool” hipster vibe with my bowler hat and nasty gal cut out booties. Details and links below!